The weekend of September 13 and 14 witnessed Wellesley College’s 15th annual Day to Make a Difference. Every year, Wellesley students, alumnae, faculty, and staff participate in service projects in their communities. The Center for Work and Service (CWS) coordinates the event, a much-loved element in Wellesley's rich tradition of service and citizenship. Last year, the CWS reports, volunteers contributed over 1,500 service hours during this event. More opportunities for students to serve are available through the CWS, which offers “Alternative Break” programs during Wintersession and Spring Break, as part of the national Break Away program. This was only the College’s first year as part of that program, and it won national recognition from Break Away by taking the T-Shirt of the Year award for a shirt designed by Annie Wang ’14. “This was Wellesley’s first year leading service trips under the [Break Away] model, and we really wanted it to be a student-led and student-informed experience. Our t-shirt reflects that: While Annie designed it, she did so with input from all eight student Site Leaders. She was able to capture the spirit of our program – even though all of our Breaks were unique from one another, they are united through social justice and meaningful service,” Break Away quoted a CWS representative. Students interested in sporting cool t-shirts—and going on service projects that cover environmental stewardship, healthcare through service, food justice, and environmental housing/urban planning—can attend info sessions on September 17 and 18. Check with CWS for place and time; deadline to apply for the Wintersession trip is September 23! 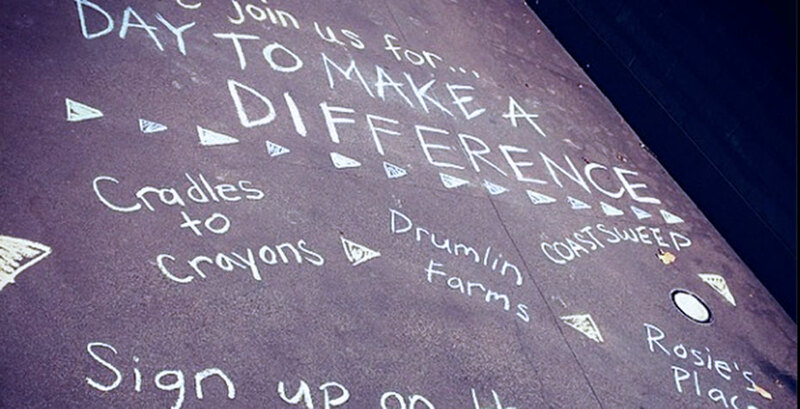 Read about the 2014 Day to Make a Difference service projects.